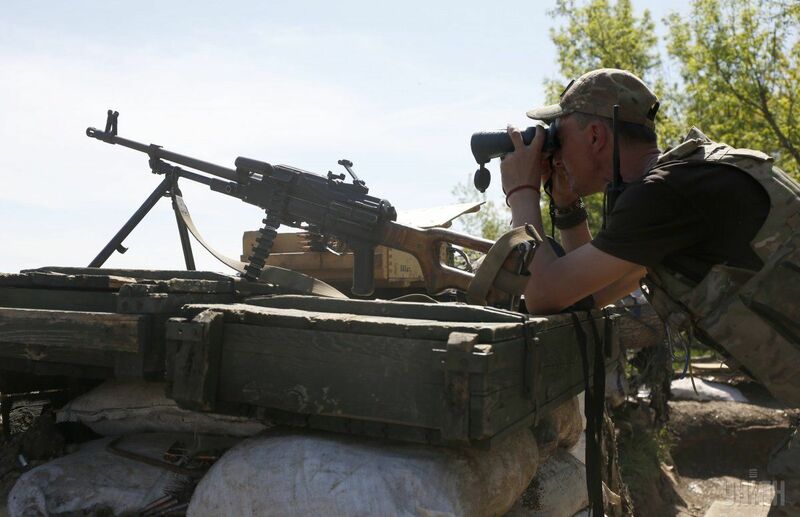 The Ukrainian army has advanced one kilometer closer to the Russian-occupied town of Debaltseve in Donetsk region and taken new positions after Ukrainian troops had to repel enemy attacks, according to volunteer who raises funds for the Armed Forces of Ukraine Yuriy Mysiahin. "After continuous provocation and shelling by the enemy, the infantry of the 53rd brigade had to move forward a long distance. And they not only advanced, but also mounted defenses on new advanced positions," the volunteer said on Facebook on Monday, May 22. The occupied town of Debaltseve is now one kilometer closer, he added. Read alsoOSCE shows "DPR's" artillery near Svitlodarska Duha bulge (Video)This is the area of the Svitlodarska Duha bulge. Under the Minsk II peace agreements dated February 12, 2015, Debaltseve should be under control of the Ukrainian authorities. As UNIAN reported earlier, Russia's hybrid military forces continued shelling Ukrainian positions on Monday, May 22. They used heavy artillery weapons twice during the day. One Ukrainian soldier was wounded in action.